ABUJA (NIGERIAN VANGUARD) -- There are indications that the United States and other nations will soon abandon Nigeria’s oil, which may negatively affect the nation’s revenue generation. According to the Energy Information Administration (EIA), the US may drastically reduce its import of crude oil from Nigeria by 2022, going by its projection of becoming a net energy exporter in four years. In the newly released Annual Energy Outlook for 2018, EIA stated that the transition from net energy importer to net energy exporter will not take place until 2050 in some sensitivity cases. “The transition of the United States to a net energy exporter is fastest in the high oil price case, where higher crude oil prices lead to more oil and natural gas production and transition the United States into a net exporter by 2020. “In that case, higher crude oil prices also result in higher petroleum product prices and lower consumption of petroleum products, driving decreases in net petroleum imports. “In the High Oil and Gas Resource and Technology case, with more favourable assumptions for geology and technological developments, the United States becomes a net exporter in 2020, and net exports increase through the end of the projection period. Meanwhile, India, Nigeria’s largest importer of crude, which reduced its demand in 2017, started importing from the US. 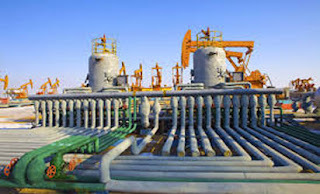 However, speaking on the implication of this development to the NigeriaN economy, Chairman of the Petroleum Technology Association of Nigeria, PETAN, Mr. Bank Anthony Okoroafor, stated that: “we should be looking for alternative buyers, build refineries/upgrade and maintain our existing refineries to focus on adding value to our crude oil which will also create more jobs and more revenue to the country. 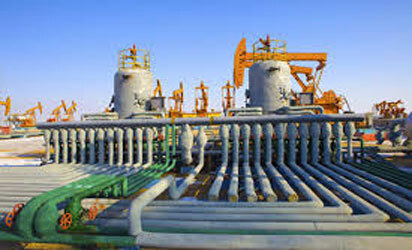 We can be supplying refined crude to the whole of Africa. “Also, we should change from been a net importer of crude oil to net exporter of refined petroleum products.” He stated that: “We import over 80% of products consumed. This is a shame. There is a big gap in the supply of refined products in Nigeria and West Africa region. This shows great potential for domestic refining of petroleum products. With oil price hovering between 60 to 70 dollars per barrel, we should focus on refining. “Our local refining capacity is 445,000 bpd but they have never operated above 15% capacity which is a real shame. We consume about 17 billion litres of PMS annually, 2.9 billion litres of AGO annually and 390 million litres of aviation fuel annually.” Commenting on downstream activities, he added that: “We must privatise the refineries, deregulate fully refined products and allow demand and supply to regulate price. Deregulation will be a key driver for growth within the refining sector. We really need bold and decisive reforms to attract investors. “Government should focus on providing enabling environment for business to prosper. If you want the refineries to work, you will require financial independence; people who will be able to take decisions, carry out their maintenance without seeking higher layers of approval.